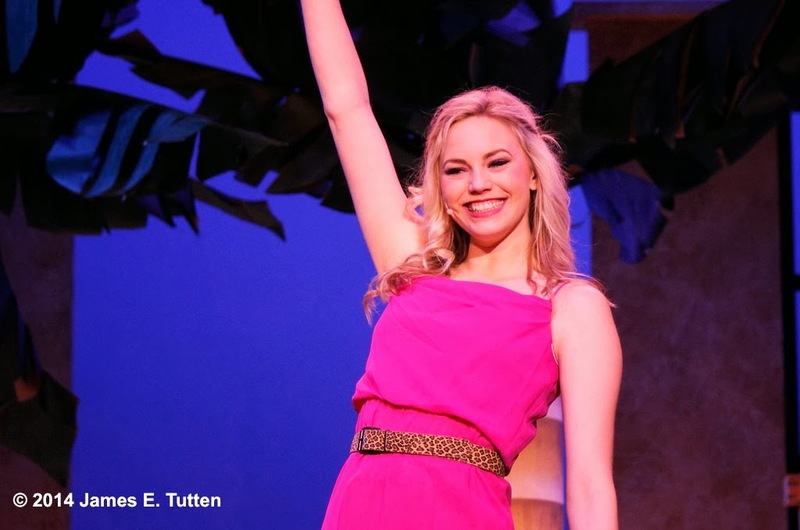 Jillian Gizzi is a talented and ambitious actress, who continues to reach for perfection with her current role in the musical “Dirty Rotten Scoundrels,” under the direction of Julia Gagne who she gives credit to helping her find focus. “Acting is something where it really has to click in your mind in order to understand it, and she helped it click in my mind,” said Gizzi when asked about her first time working with Gagne as a director in 2011. Gizzi has wonderfully step into the mind of her current character, a young and seemingly naive Christine Colgate, who has multiple layers entwined within the scams of a pair of con artists, and who is herself a master manipulator throughout the entire process. This isn’t learned until the end of the play thanks to Gizzi’s convincing performance and enduring believability. “Jillian is wonderful in every way,” said Gagne. “I am so proud of how much she’s grown as an actor in the years I’ve known her.” This is the second time the two have worked together, with their first collaboration in 2011 for the musical production of “The Drowsy Chaperone” at Valencia College. Acting hasn’t always been easy for Gizzi, who openly admitted to struggling on-stage when she first started out. From her very first acting role as Fern for her middle school’s production of “Charlott’s Web,” to later performances in high school, staying in character and enjoying her own performance was always a deep concern. Working as a dancer seemed more natural for her but she kept working to improve her stagecraft. With the help and support of her family she went on to study for her BFA in Musical Theatre at Pace University in New York City after graduating high school. When she isn’t acting in theatrical productions Gizzi can be found stepping into her day job as a character performer at Walt Disney World, portraying a catalogue of roles that include Disney’s Queen Elsa, Rapunzel, and others. She has fun and truly enjoys the magical moments she shares with young children, and also looks at the whole experience as improv acting and character work that carries over into her other on-stage performances. 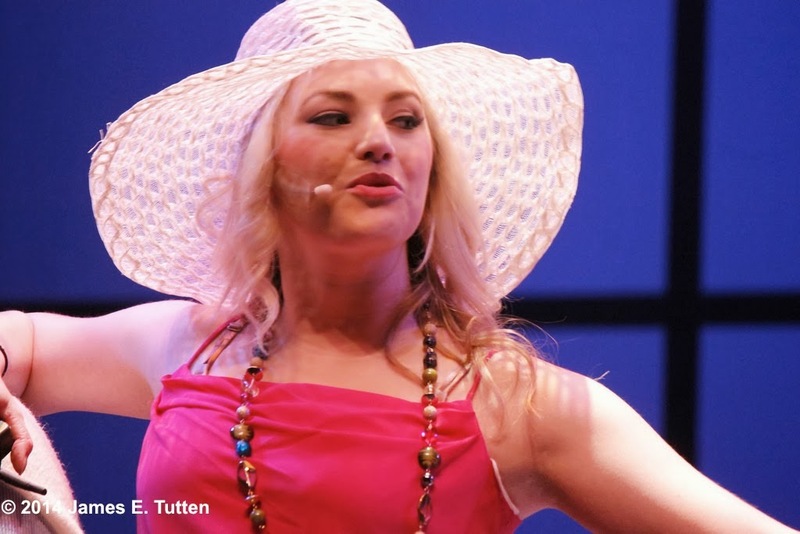 Lead roles in a musical such as “Dirty Rotten Scoundrels” pose a great challenge to most actors that have to balance their performance with acting, singing and dancing skills. Gizzi delivers in all three of these key components and truly shines on stage, especially during her spotlight musical numbers where she displays a sublime singing ability. Gizzi’s fellow actors do not hesitate to give her praise when asked about her on-stage abilities. 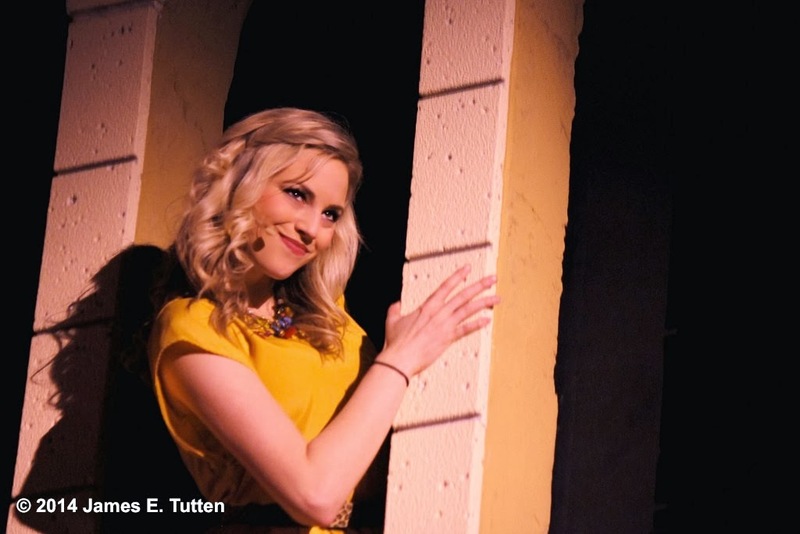 "On stage, she's very professional, precise, and she's very demanding of herself and wants to do the role the right way," said David Almeida, a veteran actor who plays Lawrence Jameson in this production of "Dirty Rotten Scoundrels" with Gizzi. "In many ways she's fearless and really goes for it." Helping Gizzi to stay focused on her goals is a few philosophies she has developed over the years. One of the greatest ideas for her is embracing the good and bad during the process of auditioning. She claims to have been turned down a lot over the years, and likes to focus on what she did wrong and how she can do better next time rather than being discouraged. If she wasn’t performing as an entertainer, Gizzi would like to she herself as an engineer because of her love of mathematics. She took advanced calculus courses in college even though she didn’t really need them, and loves the challenges in higher math that she equates to the challenges she faces in acting. In the future she sees herself continuing acting and hopefully steeping into the film industry. What ever comes next, it's clear that Gizzi will continue to impress as she focuses on her goals of making magic as a performer.